We’ve just updated our offline creator tool for both Windows and Mac programs. What’s more, we used your suggestions and ideas to do it! You’ll find all the new features, improvements and changes listed below. Click on each update to learn more. 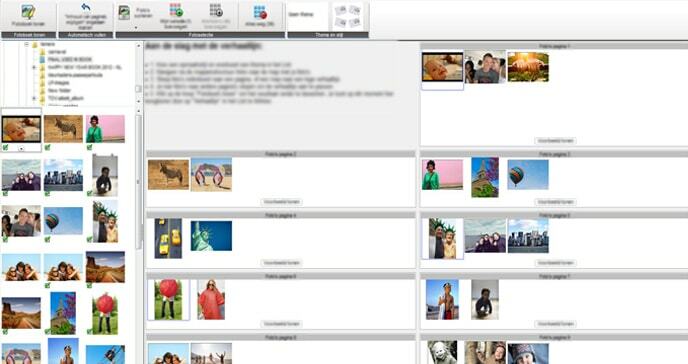 Photo book creator tool version 7.5 for Windows – what’s new ? If you create your book using the ‘Autofill’ option, you’ll now be directed to a storyboard. This is a one-page overview of all your photo book pages. From there, you can add your photos in chronological order. You’ll also be able to switch easily between creating your photo book storyline and editing individual pages wherever needed. 2. The shadow feature has improved! Now you can apply the shadow effect without reducing the size of your photo. In the previous version, applying a shadow effect would fall within the green frame, which made your photo shrink in size. Now that the shadow appears outside the green frame, the size of your photo will remain unaltered. 3. The rotate feature has improved too! In the previous update (version 7.4) we had improved the rotation process to allow photo rotation without altering its size. With this update, we’ve made it even better. You can now zoom in and shift the photo from left to right to the photo you’ve just rotated! This tool can give your photos a completely different look. 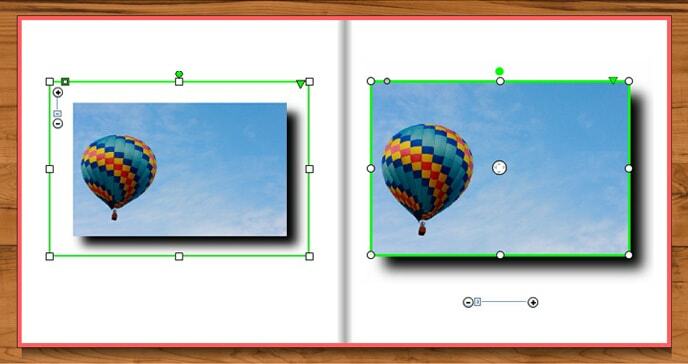 With creator tool version 7.5 you can save your photo cover layout, along with the layout of your photo book pages. 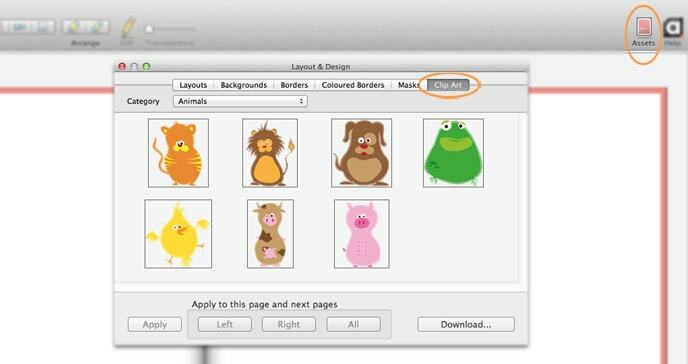 Once you’ve created your photo book cover, save the design by right clicking on the cover, click through ‘Layout’ > ‘Save layout’. To find a cover layout you’ve saved, click on the ‘Page’ tab, then click on ‘Layout’ and use the drop down menu to find your photo cover layout you’d saved. You’ll now see that the Google tab (which used to be above your folder navigation area on the left side of your screen) is no longer there. But worry not! It’s still very easy to add images you find online. First save the image to a folder on your computer. Then, start your creator tool, look for the folder containing the image you’d saved in the folder navigation area, then drag and drop it as you would your own photos. 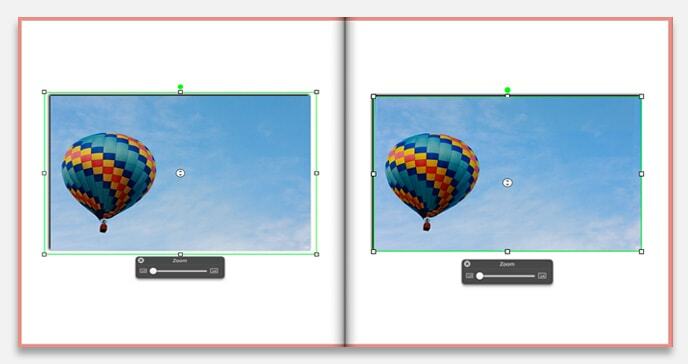 Photo book creator tool version 2.0 for Macs – what’s new? 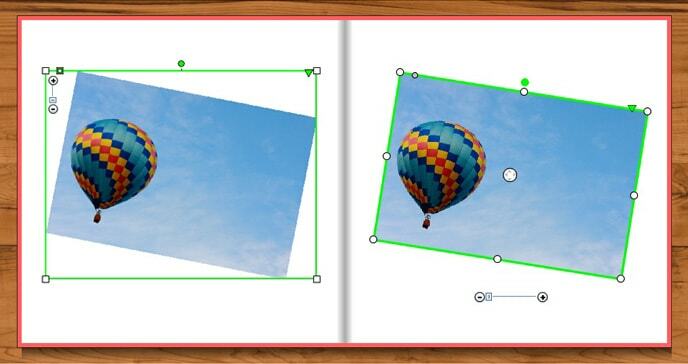 In the previous version, applying shadow would fall within the green frame, which made your photo shrink in size. Now that the shadow appears outside the green frame, the size of your photo will remain unaltered. When you start your creator tool, you’ll be requested to update to version 7.5. Once you’ve done this, you’ll get to benefit from these improvements!